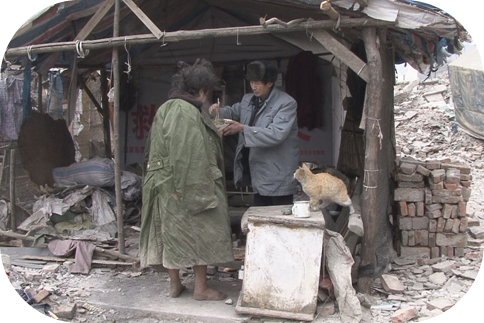 Du Haibin's documentary about the aftermath of the Sichuan earthquake that struck at 2:28 PM (14:28) on May 12, 2008, captures the perspective of local people and how they coped with reconstructing their lives. The film begins with an English subtitle which translates a slogan on the side of a truck "Unite Our Strength for Rescue Efforts Against the Earthquake," Illustrating one of Du's underlying themes throughout his film: the presence of government and propaganda in contrast to the reality of the situation. Premier Wen Jiabao's arrival on the scene in the county town of Beichuan, the epicenter of the earthquake, sparks criticism from locals from other towns, as does the government in general and its handling of the situation. Paralleling their anger and frustration is the attempt by the survivors to make sense of the disaster that has transformed their lives. Kevin Lee, Vice President of Programming and Education of dGenerate Films, will present a special illustrated lecture on the history and current state of independent film making in China. Free and open to the public. Illinois Public Media interviewed Kevin Lee, about the 1428 and Chinese independent cinema. The full interview can be heard at Illinois Public Media's website. Directed by Michael Kot. 2004. 42 minutes. The very first frames establish the location of the film - dust, smoke and haze blur the skyline of Alang in Gujarat, India and with the flames of blow torches, and small fires burning everywhere, the ambience of a graveyard is all pervasive. Known as the biggest shipyard in the world with 10 km of oily shoreline, and 40,000 workers exposed every day to toxins, waste, asbestos and more, the similarities could not be more obvious. On average, one worker a day dies here. 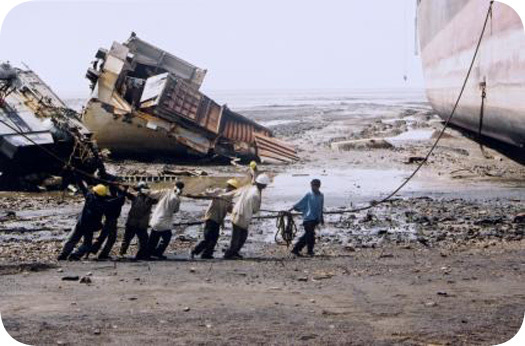 Ironically, the workers also refer to the place as a kasai-ghat or butcher yard where ships come to die so people can survive. 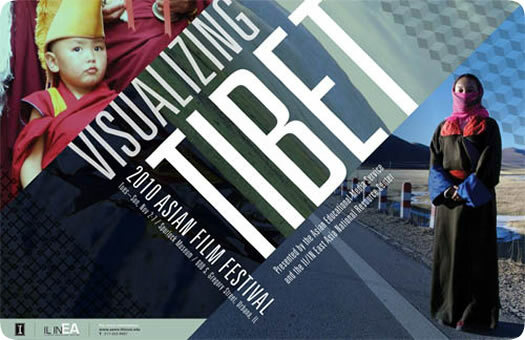 Documentary and feature films from Chinese, Tibetan and the American directors portray Tibetan history, culture, and a way of life that may be the last frontier of an ever-encroaching global "civilization." The festival starts on November 2 with the AsiaLENS screening of The Unmistaken Child followed by Martin Scorcese's Kundun at The Art Theater on Thursday, November 4th. All other events take place at the Spurlock Museum on the University of Illinois campus. Admission is FREE for all screenings. Check our website here for full details. Kindergarten, directed by Zhang Yiqing (2010, 75 minutes), follows a group of very young students at a boarding preschool through a full year of living and learning together, from the first day for the youngest children to graduation for the oldest class. The filmmaker artfully explores childhood and education issues through the dialog and interaction among students ages 2 - 7 and their teachers. A broadcast schedule is on LinkTV's web page for Kindergarten, at www.LinkTV.org/kindergarten, and the film is available to stream online. For availability for classroom use and DVD sales, please contact Martha Foster at Living Earth Television NFP at MarthaF@LETV.org or 847-217-7988.